Two men left paralyzed after suffering spinal cord injuries are regaining the ability to walk, thanks to a robotic exoskeleton. 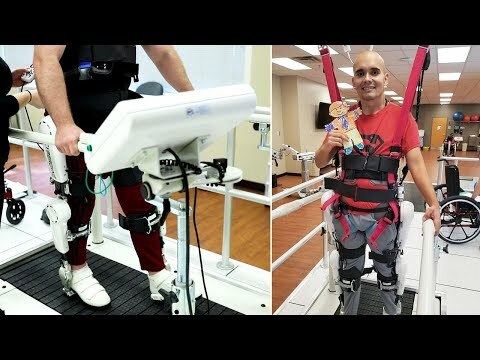 When Derrik Amaral and Maverick Moody were approached with the opportunity to be one of the first people in the United States to test out HAL, an exoskeleton that is outfitted by the patient’s legs and can be controlled neurologically, they jumped at the chance. InsideEdition.com’s Keleigh Nealon (http://twitter.com/KeleighNealon) has more.